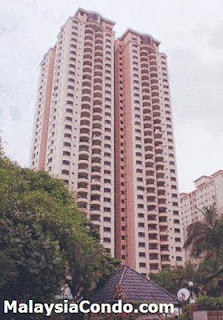 Duta Ria Condominium is located at Jalan Dutamas Raya consists of a 33-storey condominium block. There are 252 condominium units in total, each condominium has a built-up area ranging from 1,376 to 1,700 sq.ft. The facilities at Duta Ria Condominium include swimming pool, gymnasium, tennis court, playground, BBQ area and cafeteria. Built-up Area : 1,376 - 1,700 sq.ft.